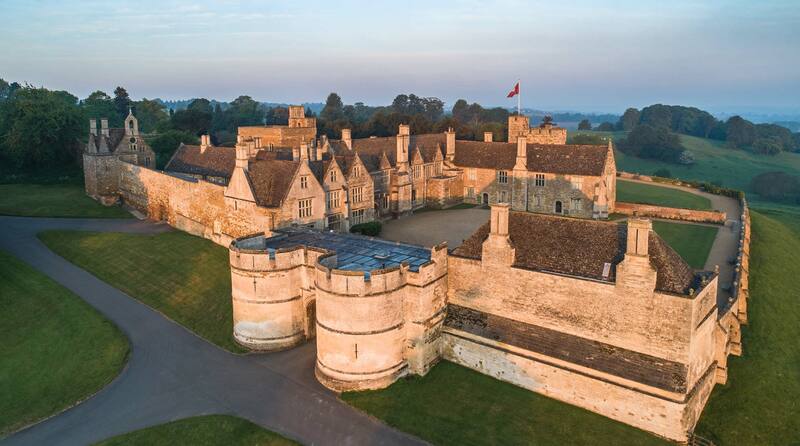 Rockingham Castle is ideally positioned in the centre of the country with good road, rail and air links. By Road: Poised on the side of the Welland Valley, the Castle is off the A6003, 1 mile north of Corby; 24 miles from Peterborough, Northampton and Leicester; half an hour from the A1 and the M1 and 10 minutes from the A14 at Kettering. By Rail: There is a regular train service from London St Pancras to Corby (3 miles),Kettering (8 miles) & Market Harborough (10 miles). The train journey takes approximately one hour. Taxis should be available at the Stations. Helicopter landing may be available in the Grounds by prior arrangement.